Sirius Microwave(formerly MITEQ Estonia) has been founded on 1993. For over 23years it has been delivering custom-engineered microwave components to the industry. Our customer list includes companies like Rohde & Schwarz, Fraunhofer Institute, Thales, European Space Agency, EADS, Huber&Suhner, Krauss-Maffei, DLR, META Sensing, MITEQ Inc, Siemens, Conti-Temic, Max-Planck-Institutes, Universities. Our engineers have years of experience in the communications field, including duties with the Estonian and Finnish Communications Agencies. They are familiar with the latest in manufacturing technologies including the latest in computer aided design and manufacturing techniques. Our engineers are in constant search for new components and technologies to keep our products at the top level. Our facility in Estonia is equipped with the latest in manufacturing and test equipment, including: Agilent network analyzers, sweepers, noise and power meters; Anritsu network analyzers and sweep generators; Rohde & Schwarz spectrum analyzers and MEI gold wire bonders. We also have computer aided design programs for both electrical and mechanical layouts. We are capable of building components and subsystems from 1 KHz to 20 GHz. For quality, engineering intensive products, Sirius Microwave is where you should direct you attention. 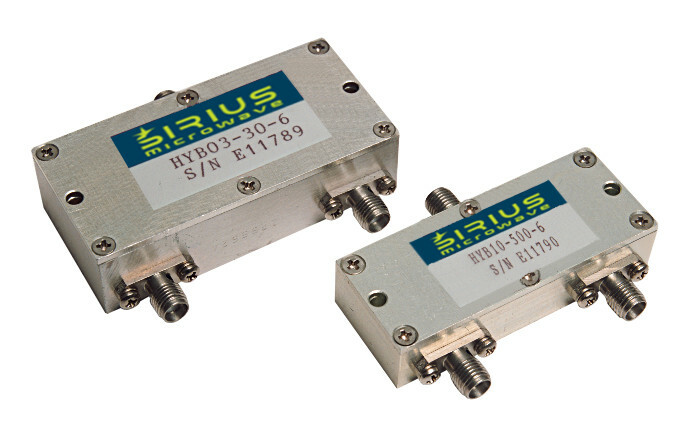 Bipolar and GaAs FET Amplifiers: 10 MHz to 18 GHz. (optimized for gain, noise figure, or power) Wideband 90 degree Hybrids. Image Reject Mixers to 4 GHz (wideband IF, RF or fixed LO models). Filters, lumped element and cavity, 10KHz to 20GHz, Group Delay Equalized IF Filters. Couplers, splitters, combiners 10KHz to 20GHz. Switches, limiters, attenuators, Subsystem production to your design,cryogenic products, high volume production.